Valentine's Day will be here before we know it and so I have been working on some designs. Here is my sweet card of two little love birds in front of their little home. I used the Impression Obsession house die and their fence die; I stamped the house with I/O's distress background stamp. I also stamped the two chickadees in brown and embossed them in clear. I used the Spellbinders circle nestabilities for the window, Nellie Snellen multi frame die for the scalloped "lacey" edge and a Marianne Creatables die for the leafy flourish. I added a few punched flowers for the finishing touch. Now that CHA has started, Impression Obsession released it's new catalog and you can see it HERE! There are some wonderful ideas and new goodies waiting for you! Let me know if you need anything and I'll get them to you in no time. Hope this starts you thinking about your Valentine's Day project. Don't forget, these cards can also be used for an anniversary, wedding and even a birthday. 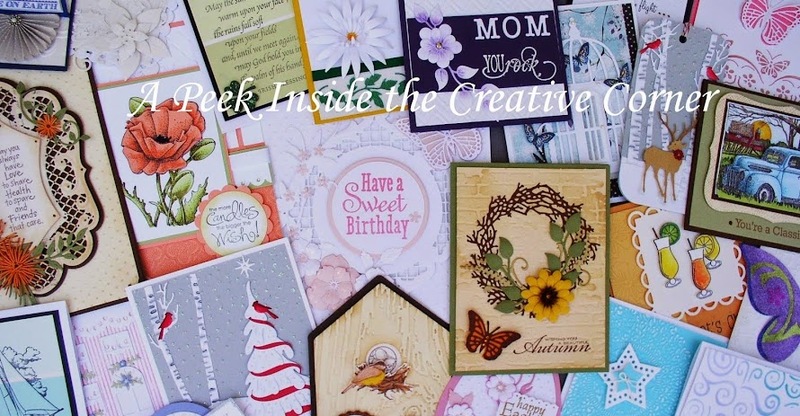 Therefore, get your creative juices flowing and get into some fun in making some great cards!